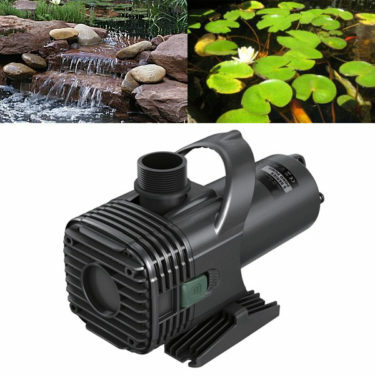 Pond kit in a box: consisting of a pressure filter, integrated UVC and matching filter/watercourse pump with all necessary hose connections for quick assembly. Available in 1500lph, 2500lph and 3500lph. These two pressure filter sets consist of one Biopress pressure filter each, with integrated UVC and a matching filter/watercourse pump with all necessary hose connections for quick assembly. Easy filter maintenance is achieved using the cleaning function built into the filter. The filter consists of 3 different filter media to ensure clear water – all this at an extremely attractive price. These sets are not recommended for koi ponds or heavily stocked fish ponds. • Simple and convenient cleaning of the filter using the press handle. • Quick lock for ease of opening and closing the filter. • Different filter materials for optimum filtration. • Are pressurized so they can be situated below higher positioned water courses. • Can almost be completely buried. • Buried up to 2/3 of its height. For larger ponds, the OASE Aquamax ECO pump has energy savings of up to 60% more than OASE’s already low power consumption pumps. Available in 8,000lph, 12,000lph and 19,500lph. 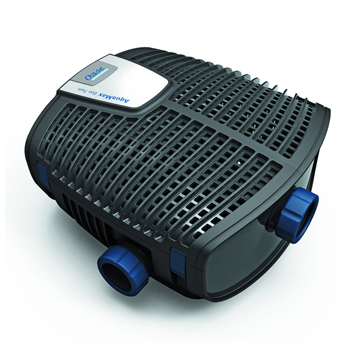 Ideal for polluted water, the Barracuda provides 6mm solids handling capacity, BSP threaded inlet & outlet, and is suitable for optional prefilters like the Clearpond Ez-Bio. 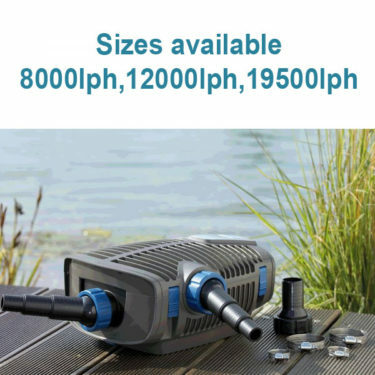 Available in a range of sizes from 3600lph to 25,000lph. Unique to OASE. 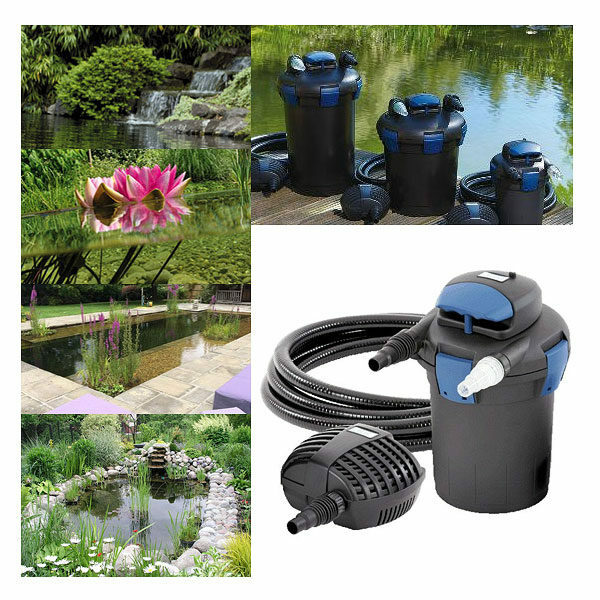 A safe, low voltage Aquamax version ideally suited to swimponds and fish ponds – available in two sizes: 6000lph and 11,400lph. Truly thrifty with low running costs and dual pumps individually adjustable by remote control. 27,000lph.